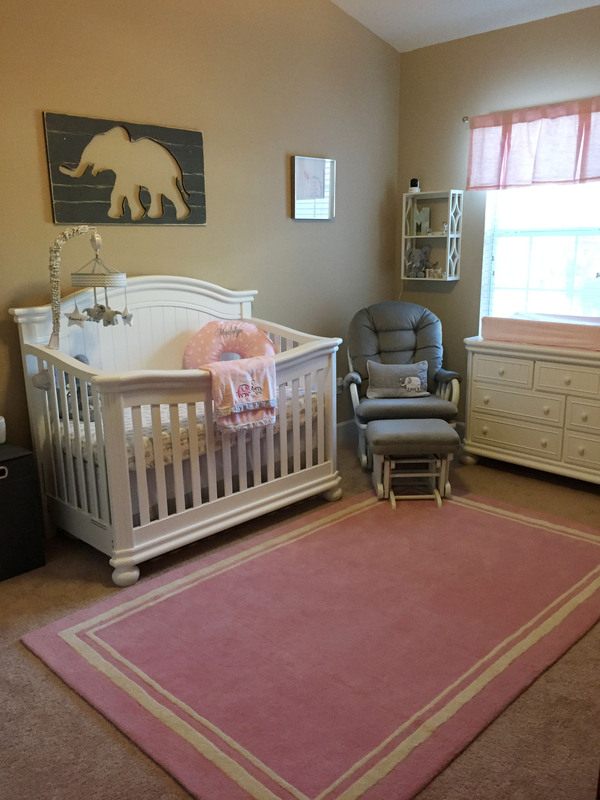 Of all the prep work we’ve done, decorating the nursery together has been the most fun. 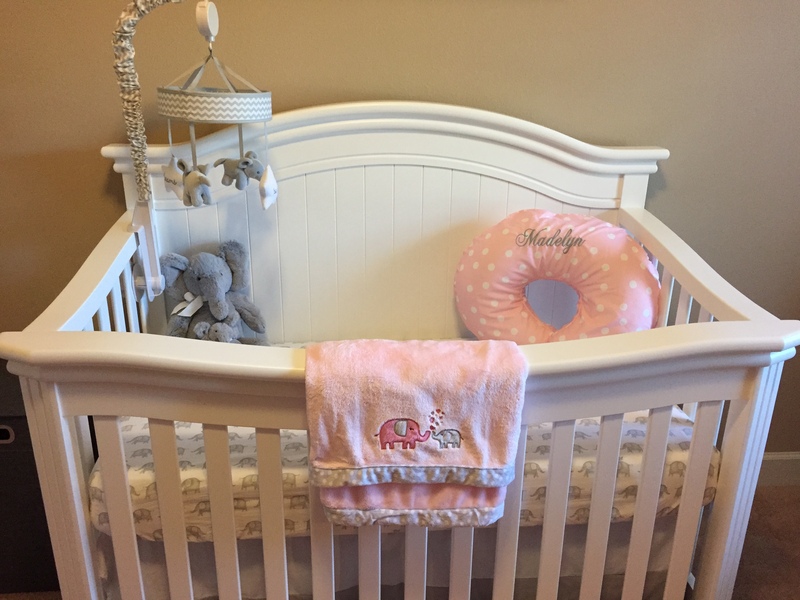 I picked out everything for the nursery, along with the theme, while Troy assembled the crib and dresser and hung all of the wall art. We finished this joint labor of love last weekend. Now all the room needs is a baby! I’m 33 weeks pregnant, so Madelyn could be here anytime in the next month and a half. When she does arrive, we’ll be ready. 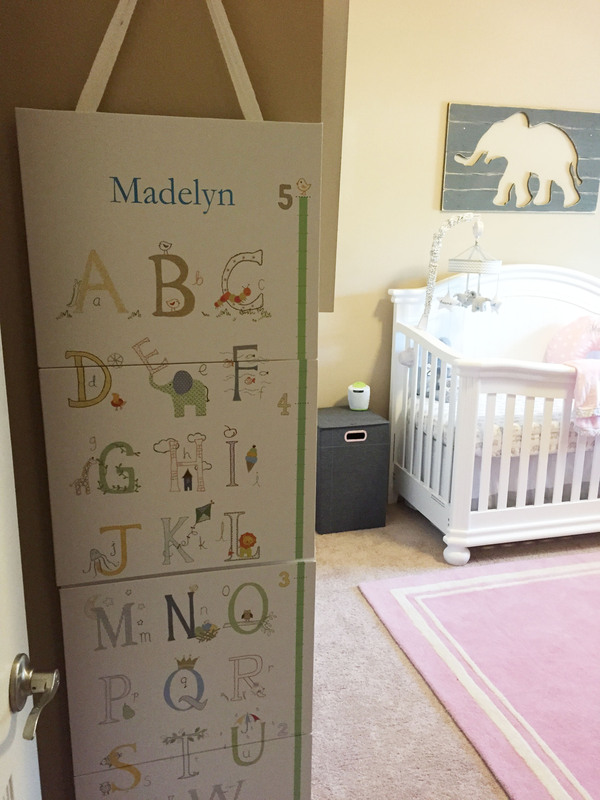 A growth chart to keep track of Madelyn’s height! 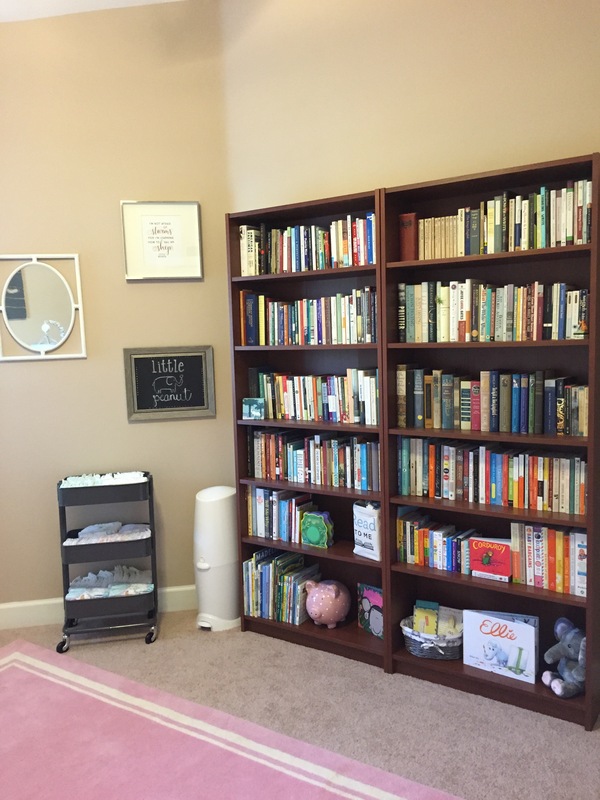 Naturally, Madelyn’s room needed to have lots of books. The bottom shelves are filled with children’s books. I organized the other books accordingly. The classics, for instance, are on the middle shelf; I figured she’d be about that height once she’s ready to read them. Also note the cart of diapers and the Diaper Genie; we’re mentally preparing for lots of diaper changes! The shelves are decorated with sentimental trinkets. The “M” is made out of a book and is a souvenir I bought when Troy and I went on our “babymoon” to St. Augustine in October. The fairy is a gift that my mom bought for my maternal grandmother years ago. My grandma gave it to me after my mom passed away. The stuffed elephant is holding onto a silver cup that holds some of Troy’s baby spoons. And the Precious Moments figurines in the right-hand corner are mine from when I was a child. 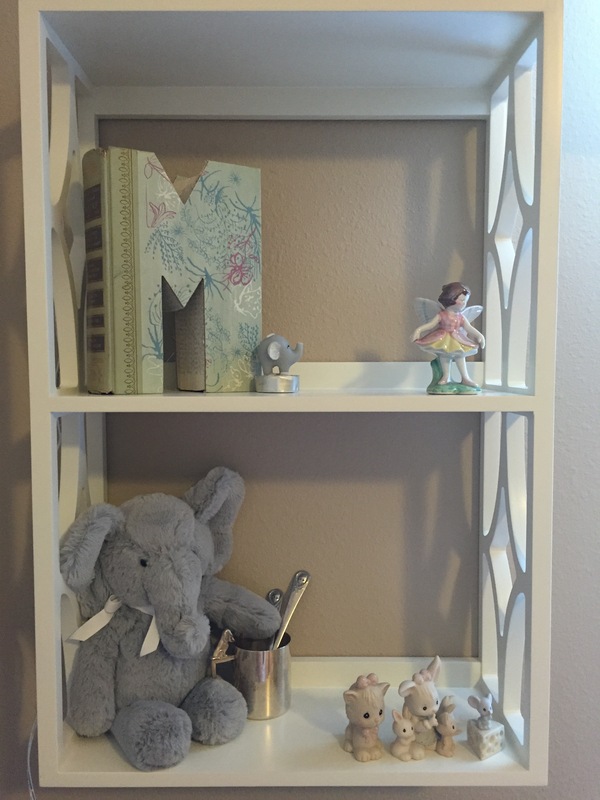 This shelf has a framed Jane Austen quote; a crane and butterfly (I’ve always loved cranes and butterflies); a tiny ladybug my dad bought me in Boston after my paternal grandma passed away earlier this year (we’ve always believed ladybugs are good luck); a photo of Madelyn at 18 weeks; and a nightlight that my dad and stepmom bought. There are lots of toys we still need to put together. They’re in the closet for now, along with Madelyn’s adorable clothes. 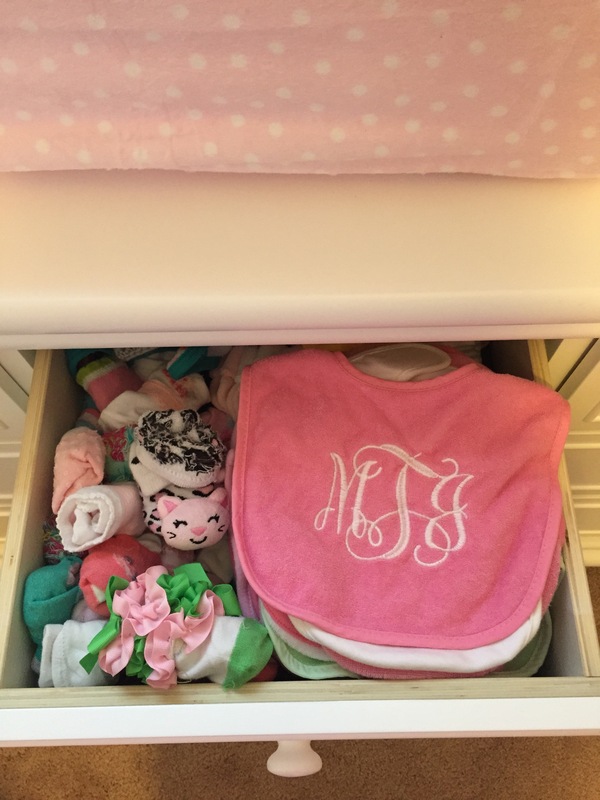 A dresser drawer filled with cute socks and bibs. 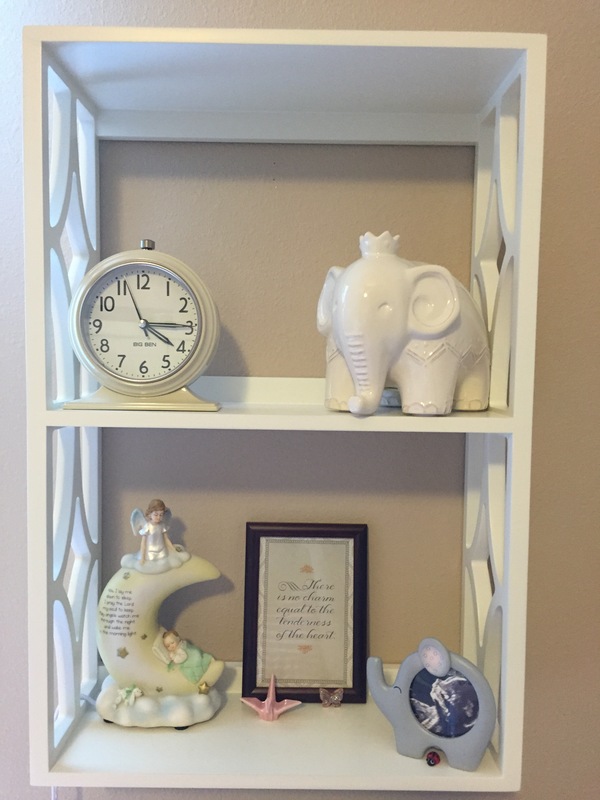 A collage of prints in Madelyn’s nursery. 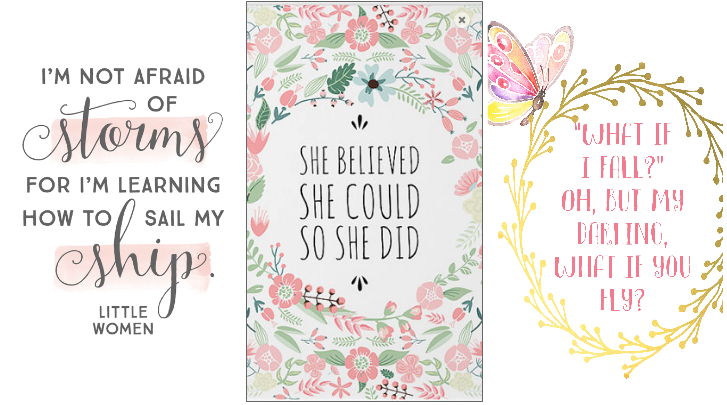 I’m a sucker for quotes, especially literary ones. 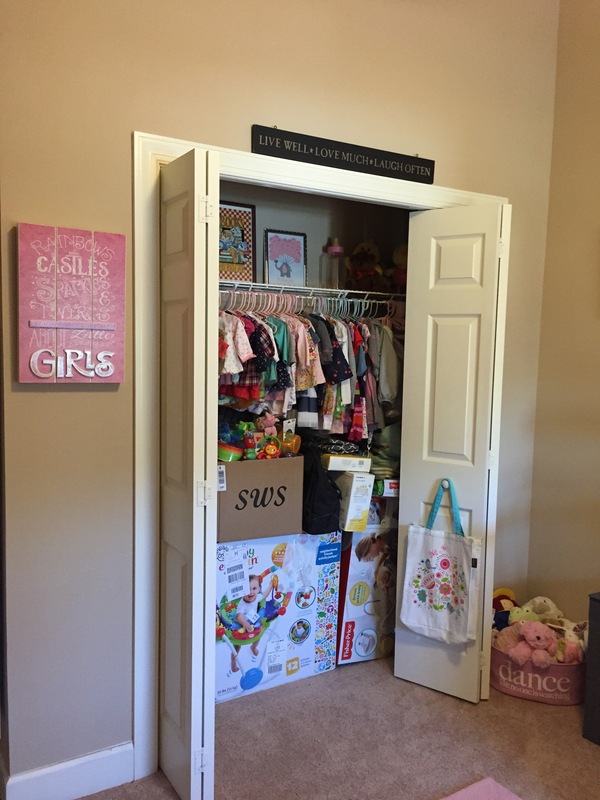 I feel an overwhelming sense of gratitude as I look through these photos; we are lucky to have a room for Madelyn and to be able to make it so special for her. I hope she enjoys it as much as her parents do! When you’re pregnant, your brain plays tricks on you. I’ve had my fair share of “pregnancy brain” moments and have been curious as to why pregnancy causes women to be more forgetful and absentminded than usual. The related research I’ve read has helped me realize that pregnancy brain is a real (and normal) symptom. It has also taught me the importance of empathy in parenthood. When you’re pregnant, a surge in hormones affects neurons in the brain, grey matter increases, and your spatial memory gets altered. As a result, you become more forgetful and distracted. Despite the less appealing neurological changes, the brain also undergoes changes that better prepare women for motherhood. Regions of the brain that control empathy, for instance, experience an increase in activity during pregnancy. I tend to experience empathy the most when I’m with my husband Troy. Earlier this year when we were on a trip in North Carolina, Troy thought it would be fun to touch an electric fence at a goat farm we were visiting. The inquisitive daredevil that he is, he wanted to see what would happen. As he touched it, I experienced what felt like a shock run through my body. Troy didn’t get shocked, but my body nonetheless reacted as though he had. When he’s ostensibly in pain, I feel that pain. When he’s happy, angry, frustrated, I feel those emotions too. I have no doubt this empathy will carry over into my role as a mom. In the book, “Brain Rules for Baby,” author John Medina encourages parents to embrace what he calls the “empathy reflex.” Rather than jumping to conclusions about why someone is doing something, he says, try to imagine what they must be feeling in that moment. Medina encourages couples to develop the empathy reflex amongst themselves so that they can embrace it once they’re parents. 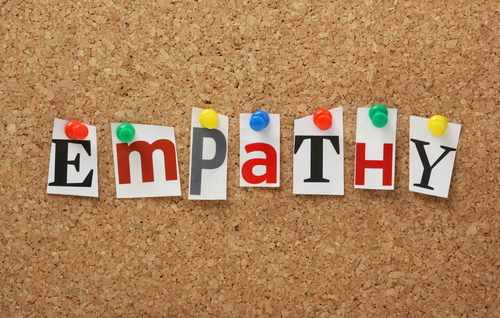 So how do you develop an empathy reflex as a parent? It takes practice. One way to start (so I’m told) is to try to understand what your child must be thinking and experiencing so that you can better understand her actions. Kids often throw tantrums because they’re feeling a certain way and they don’t know how to verbalize it. As parents, you can label the feeling for your children and, in doing so, teach them to acknowledge their feelings. Empathizing with your child calms them down, Medina says, because it signals that you understand and that you care. Medina has found that parents who empathize with their children and who have a “demanding but warm” parenting style raise happier kids. You don’t need to have all the answers to empathize with your child; you just have to try to understand them. I’m guessing you need a fair dose of patience, too. I’m sure there will be times when I lose my patience and when the empathy reflex will be the last thing on my mind. I’m going to try my best, though, to embrace empathy and equanimity — and to approach motherhood as an invitation to me my best, imperfect self.